Typhoon SONGDA brought about destructive strong winds. According to a temporary report issued by Japan Meteorological Agency, as many as five observation points in Hokkaido ranked in the list of 20 points that marked the greatest maximum gust, such as 51.5m/s at Omu and 50.2m/s at Sapporo. This strong wind collapsed the symbol of Sapporo -- a row of poplar trees at University of Hokkaido, and the damage of agriculture, forestry and infrastructure is so extensive that the strong winds of this typhoon will be kept in memory. 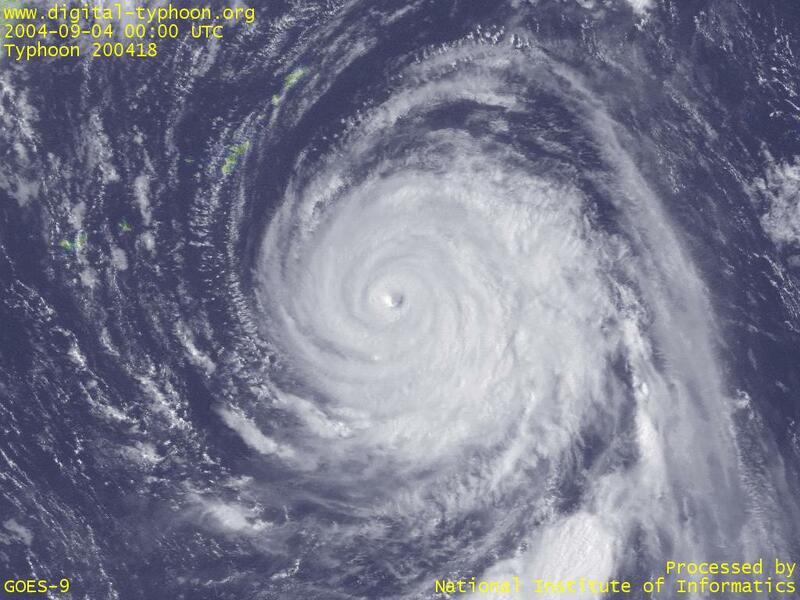 In comparison, Nago city, Okinawa, which was striked by the typhoon and marked the pressure of as low as 924.4hPa, just ranked as 17th with the maximum gust of 46.6m/s, and this record is not significant as a record in Okinawa. The reason of this difference may be related to some characteristics of the typhoon. 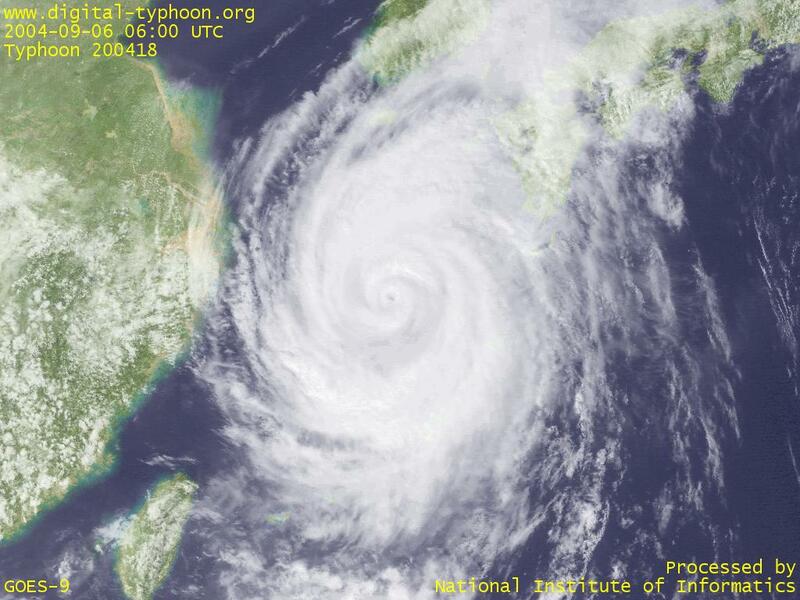 Typhoon SONGDA is changed to an extratropical cyclone. 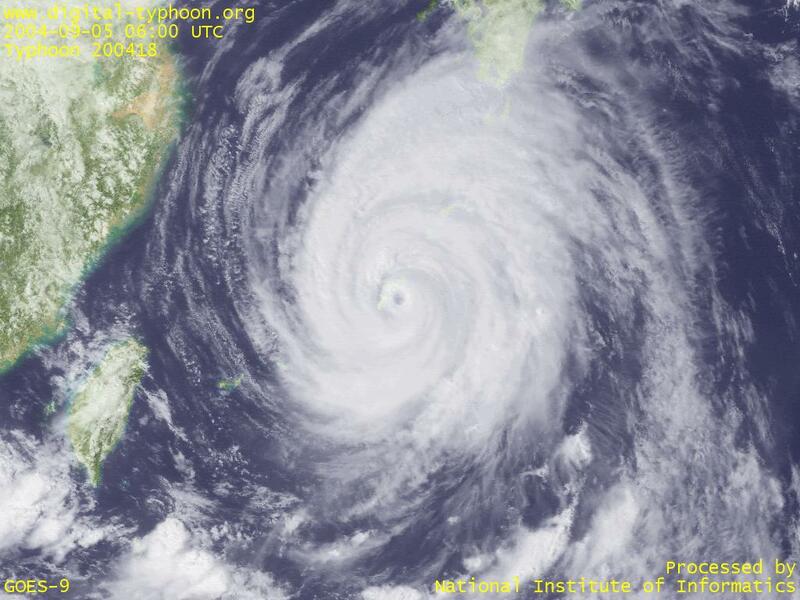 This typhoon is best characterized by strong winds. Its track, moving rapidly in the middle of the Sea of Japan, is the worst case in terms of strong winds, so many places marked the historical record of maximum gust, and most of the damage is related to strong winds. Typhoon SONGDA is affecting extensive areas and the situation of damage is getting more urgent. 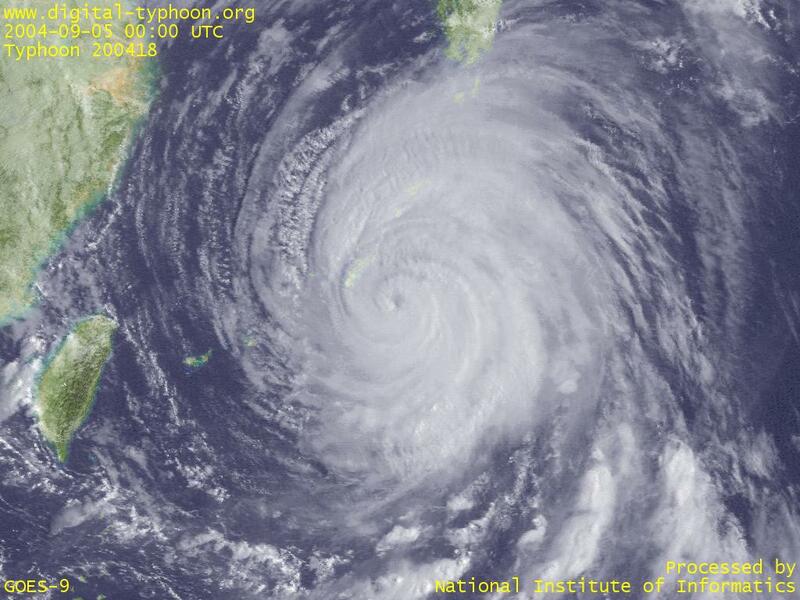 The maximum gust of 60.2m/s was recorded at Hiroshima City, which is the maximum record in history and broke the record of Typhoon MIREIILE (199119), which brought about the greatest damage in these ten years. Power failure is also extensive that more than 1 million houses are suffering from blackout both in Kyushu and Chugoku. Information from those areas may be difficult to collect. 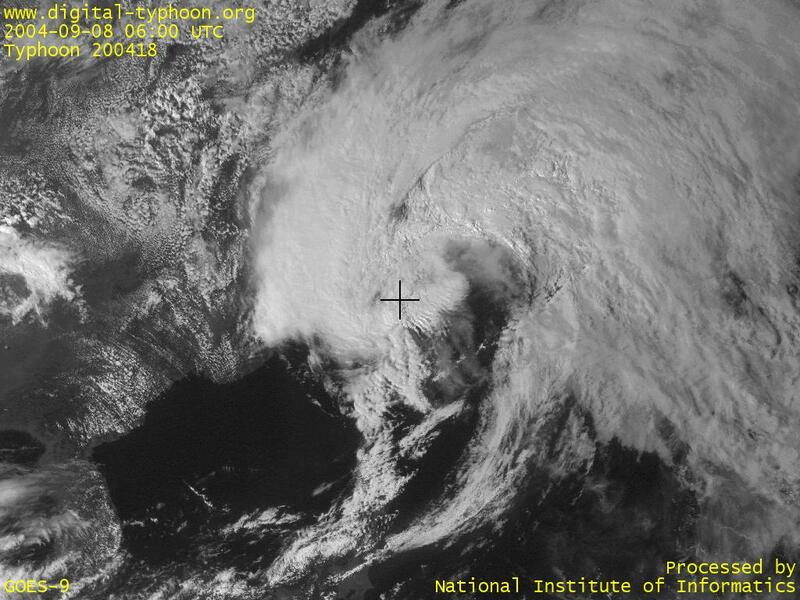 Typhoon SONGDA made landfall near Nagasaki City, Nagasaki Pref. Kyushu is entirely within the area of strong winds. The forecast track suggests that the typhoon will soon return to the sea. The waste of the typhoon from the cut off of water vapor and a friction with land may not be expected too much compared to the case of Typhoon CHABA, so the typhoon may keep its intensity for a long period of time along its movement over the Sea of Japan. Typhoon SONGDA has passed over Okinawa Island and moving northward in East China Sea. This typhoon is forecast to move almost on the same track with Typhoon CHABA last week, so it may be better to once again refer to the entry of similar typhoons to Typhoon CHABA. Typhoon SONGDA directly hit Okinawa Island, and the pressure of 924.4 hPa was observed at Nago city, Okinawa, which is very close to the center of the typhoon. This is said to be the lowest pressure ever observed within Okinawa Island (and one of the lowest within Okinawa Prefecture). According to AMeDAS data at Nago City, the change of pressure on the approaching of the center is steep, and this indicates the eye is small and sharp. It seems that the typhoon is getting slower maybe because the turning point will come in the near future, so Okinawa Island and other neighboring islands will suffer from fierce winds and rains for the long period of time. Typhoon SONGDA is going to hit directly to Okinawa Island and this area is already within the area of very strong wind. This typhoon is expected to have very strong winds and heavy rains around the center, as it is originally a sharp typhoon and it is now in its most mature preiod. Referring to "the list of typhoons that passed over Okinawa Island" below, the intensity of this typhoon is among the strongest in these 50 years. Typhoon SONGDA's turning its track to northward is now gaining more possibility. 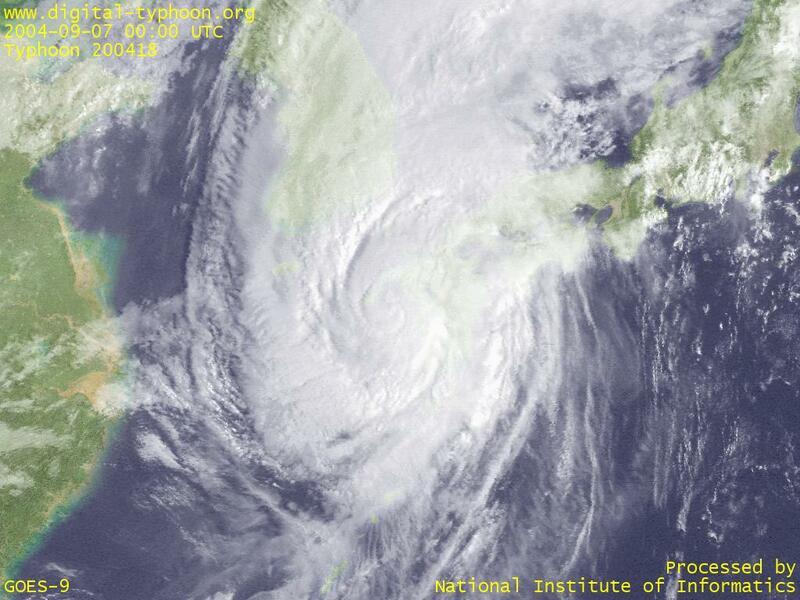 And since around yesterday the typhoon started to show the tendency of enlarging its size. These suggest that the situation is changing. Typhoon SONGDA is moving in the middle of nowhere in the Pacific Ocean. This typhoon is by no means a weak one, but its life by now seems to be moderate and less impressive. But attention is required because its westward movement continuously decreases its distance to Okinawa. Typhoon SONGDA became a small but sharp one. The eye is clearlly visible. For the time being there is no sign of moving northward. Typhoon SONGDA has started its intensification stage, and this suggests early precautions against this typhoon. It seems that Guam and Saipan, struck severely by the last typhoon CHABA, will not be hit directly this time. 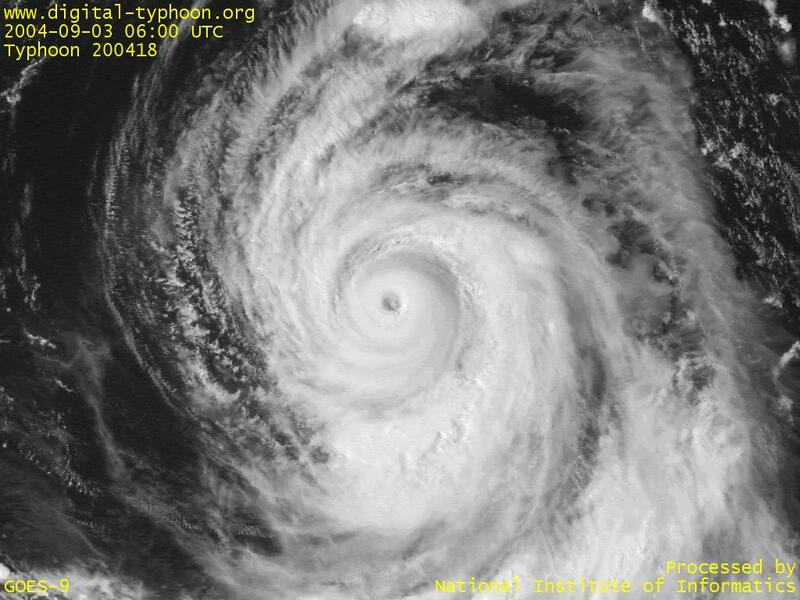 Typhoon SONGDA was born in Marshall Islands. The place of genesis is close to that of Typhoon CHABA, and it is forecast to intensify for the time being. Satellite images of Typhoon SONGDA by NASA. ESA (European Space Agency). The cloud of the typhoon is visualized in 3-D.